Puffed rice is made from rice, where the rice grains are expanded because of high-pressure heating. It is immensely popular as an ingredient in ‘bhel puri’, Masala poori and poori mixtures are common snacks, bhel puri is prepared by incorporating puffed rice, spices, vegetables, and tamarind sauce. 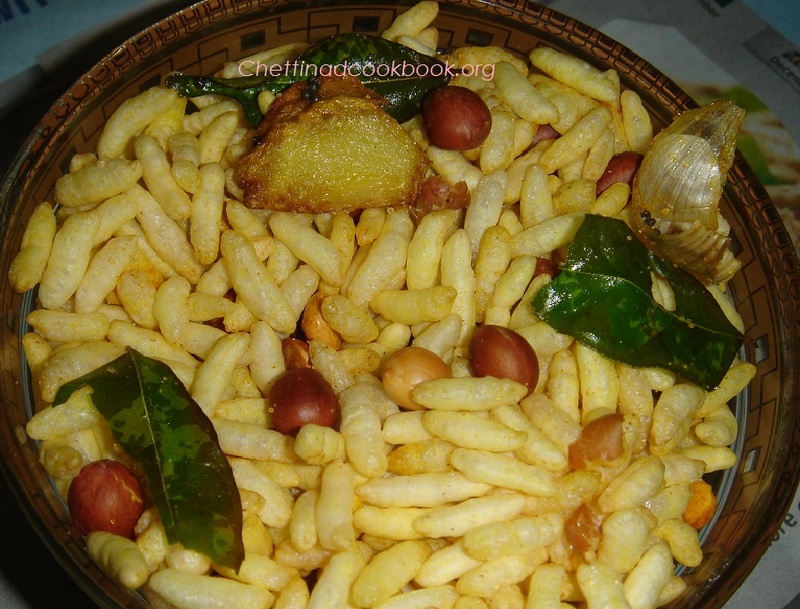 This puffed rice snack,’Flavoured Pori’ is famous in south India, It is one of the easiest snack, even a year old child can nibble it, this can be stored for nearly 15 days in air tight container. Puffed rice has more volume than regular rice, but contains fewer calories. Puffed rice is light and easily digestible. Though it has more volume than regular rice, it contains fewer calories and almost no fat. So, it can be used as a snack between meals. 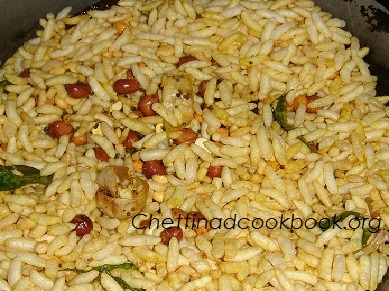 However, puffed rice is not rich in proteins and fibers and will not keep you full for long. Take a wide pan heat oil and season it with mustard seeds,red chilli,Peanuts and fried channa fry till nuts get golden yellow. 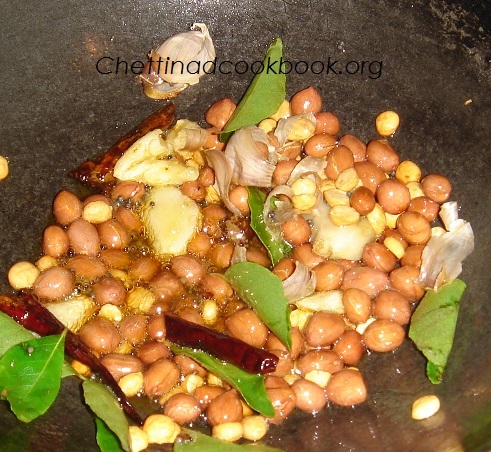 When it is done, add crushed Garlic and curry leaves stir well. Add salt, Turmeric powder and sugar in it mix well, add puffed rice(port) toss it in low flame. Store it in air tight container to maintain freshness. Note: Nuts like broken Cashew, badam and dry grapes, also can be added according to your taste preference.